FACULTYBOX-WEEKLY is a weekly news bulletin that has been launched by Facultybox, providing top trending news and articles in order to help faculties and students to have an overview of important things happened during the week. Here is the top Trending News of the week. Check out the top trending news regarding Education with Augmented Reality. ALLOW CALCULATORS FOR BOARD EXAMS? Supreme Court chief justice head Ranjan Gogoi asks the CBSE to decide whether to allow the calculators for Board exams for the candidates who are suffering from Dyslexia and he said that there cannot be uniform rules in this regard and to decide on a case by case basis. The court stated in its recent order that, “The question of providing concessions/facilities to the children/persons with disabilities, naturally, would depend upon the facts of each case. questions that arise are left open to be decided in appropriate cases”. The Bombay High court in the year 2007, had noted that for allotting extra time and candidates can use calculators who are suffering from a disability. In 2019, Common law admission test would be conducted in pen and paper-based test decided by the NALSAR, consortium of law institutes. They have taken this decision due to technical issues. In 2018 CLAT result ran into legal trouble students from all over the country have complained about technical problems. On Monday Vice president M.Venkaiah Naidu said, the country’s education system needed a “complete overhaul” it was producing students with degrees instead of individuals with critical minds and employable skills. 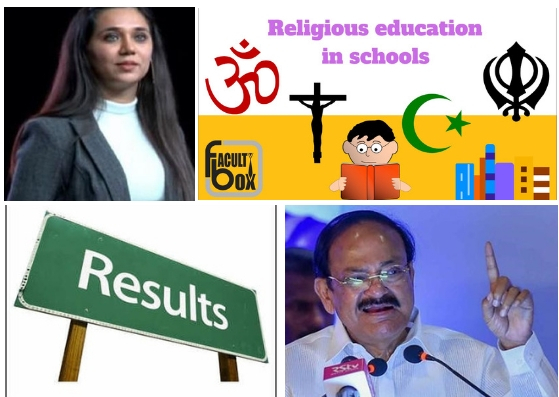 To emphasize on restoring India as the Prime destiny of the quality higher education and Naidu asked Private Universities to earmark a certain percentage of seats for students belonging to the poor section as quality private sector education has become out of bounds for marginalized sections. Every year students passing out of colleges do not possess employable skills and we are turning out lakhs of students every year from the colleges with emphasis only on theoretical knowledge, not on practical knowledge. Quality of education provided by Private colleges is a bit superior to that imparted at ones run by the states, said Union minister. Governments to encourage more individuals with key skills such as “Managerial skills, Vision, Entrepreneurship and Social Responsibilities”. Wherever the government’s interference is less, it proved that the success rate has been more and the Government should do a policy-making job. In the year 1980s, Vasantdada Patil encouraged the opening of private engineering colleges in the state, most of them criticized by some who argued that the quality of education may decline as non-government institutes would mushroom. The Indian Institute of Science of its old alumni association members holds top position across the world. But it is now out to create all wrong reasons, embarrassing their Institution and director Anurag Kumar. Within a day of association president move, there has been a dispute has been raging the members of the association’s top management. Complaints being registered with the cooperatives societies and police brings disrepute to the institute. According to the sources, there are some charges of financial irregularities, falsifying the records and forgery leveled by some managing committee members. It is well said by John Dewey, “Education is not for the preparation of life, it’s the life itself”. The concept of education in school is a very familiar concept. However, the twist comes into picture when religious education is becoming a part of the curriculum. Popularly known in the United Kingdom as “religious instruction”. What is Religious teaching all about? Why it is indirectly or directly becoming a part school curriculum? To be precise religious teaching refers to the teaching about the religion, in particular. This kind of education deals with various concepts of religion like rituals, customs, rights, and doctrines. The religious education has a different point of existence than that of academics. This education considers the religious-beliefs as its primary principle. Let us decrypt its meaning and the reason for its existence in the school curriculum. The Haryana state board has released the results of secondary/senior secondary on Oct 26th, 2018 on its official website. The students can view their results official website bseh.org.in. The overall pass percentage for class 10 was 29.72 and for class 12 was 26.11 percent. 42017 students appeared the examination but only 12487 students cleared the class 10 examination. In class 12 examination, pass percentage for Girls recorded 26.19 percent and Boys were 26.08 percent. Equality in education is not available to everyone. In order to solve the problem, 2 Indians from San Fransico Arjita Sethi and Anshul Dhawan came up with a new idea called “Equally”. Which indeed is to provide the right quality of education to every child. The Da Vince Club AR a social network for children in Augment reality. The Da Vince Club AR algorithm helps children in bringing knowledge cards related to text or object that they come across the environment. This can help children know more about their environment. This product became one of the 11 semi-finalists in the Global literacy Xprize, Sponsered by Elon Musk and UNESCO. Education with Augmented Reality helps students to learn and gain knowledge a lot and for the future generation as well. The government has approved a scheme for setting up Indian Institution of skills in different locations of the country under Public Private Partnership. These opportunities will help the youth to develop their skills which are required for the present and Future day scenarios. PPP is not only helping students but also helps in setting up new institutions in various level of expertise. With the help of public capital and government land, there are many more to come. FacultyBox blogging team is a group of senior writers and industry veterans contributing by analysing various contemporary issues of education Industry and presenting them as a detailed report to it viewers.